One of the many benefits of driving an electric vehicle is the ability to “fuel” your EV at home without having to take time out of your day to go to a service station. And a 240V Level 2 (or L2) charging station charges much faster than a 120V Level 1 (L1) charging station, which is often included with the purchase of an EV. Typically, a level 2 charger can charge an EV in less than half the time it takes an level 1 charger. But there are some important electrical installation considerations you should make before purchasing an L2 charger. ✔ Do you have sufficient electrical capacity? 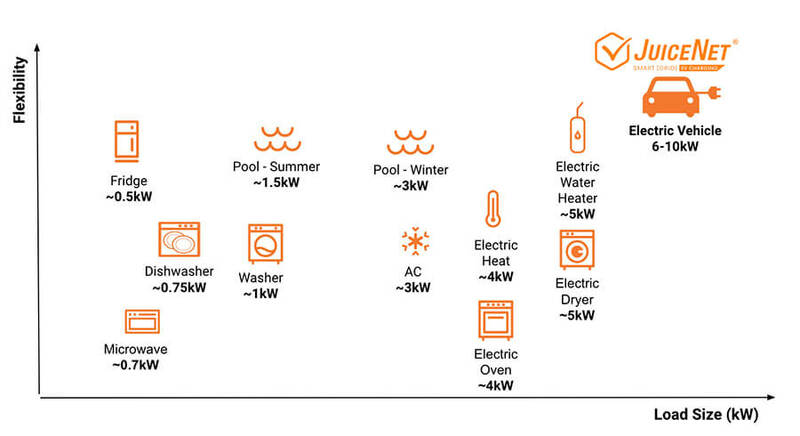 All L2 Electric Vehicle Supply Equipment (EVSE) models on the market require substantial power, usually several times the requirements of an electric range, a central air conditioning or heat pump system. To be more precise, power is how fast energy is used or transmitted, and in the case of a level 2 charger -- this is a lot of power. It is especially a lot of power if you consider that the EVSE will probably be operating at the same time the range, heating, or cooling system might be operating, so you’ll need to make sure that you have sufficient electrical capacity to handle the EVSE along with these other electric appliances. Generally, EV charging can easily double or triple the overall power load of a house. 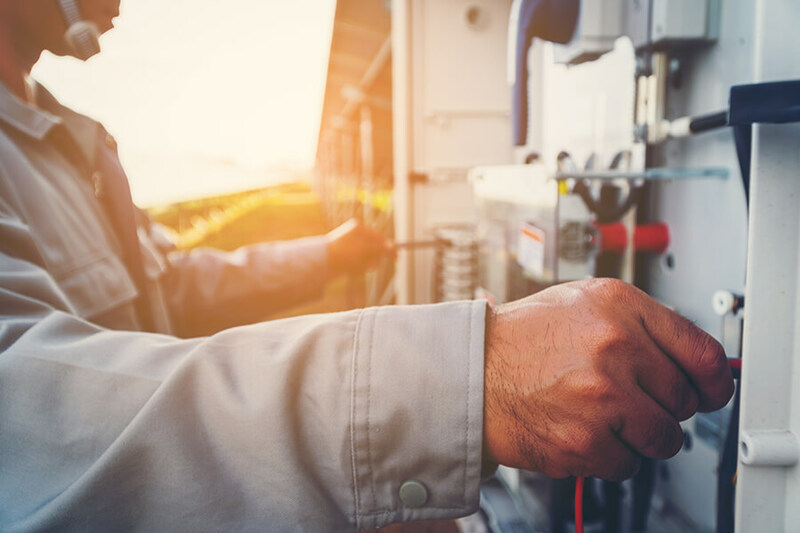 And, even if the dwelling has sufficient power coming into it, it might still be necessary to upgrade the electrical distribution panel or other equipment at your home. Installing a level 2 charging station might not cost anything if you already have a 14-50 outlet or could cost between $500-$2,000, depending on your home’s existing electrical capacity. Furthermore, a typical 35-mile commute requires around 12.5 Kilowatt-hours (kWh) per day of charging, which can be accomplished in 1-2 hours with our standard 10kW charging station. Over 80% of charging occurs at home, which will likely increase with longer-range vehicles, and the vehicle stays plugged into a charging station up to 90 percent longer than the time needed to fully charge the vehicle, enabling drivers to take advantage of more affordable electricity rates with our JuiceBox smart grid-connected charger. ✔ Are you plugged into your home standards? Our JuiceBox home EV chargers are available in both hardwired or plug in versions.The JuiceBox Pro 40 plug version uses the same standard plug as a cooking range (NEMA 14-50). 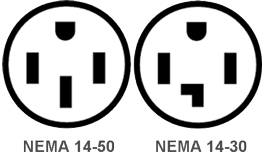 It is not the standard plug for a dryer, which is NEMA 14-30, and the chances are high that you probably do not have a NEMA 14-50 outlet already installed at your desired charging location, so expect to hire a licensed electrician to install a plug for your L2 EVSE unit, even if you have adequate power. If you’re a multiple-car family you might want to look to the future when you install your EVSE. If you do have the available capacity, it may be a good idea to install a higher amperage circuit than what the EVSE can deliver, or what your current EV can accept. That way, in the future when you have two EVs, you won’t have to upgrade the circuit or possibly add a second one. One of the advantages that our JuiceBox EVSEs have, is that they can powershare. This allows you to charge two electric vehicles, from two EV chargers with only one electrical circuit. You may not use the powershare feature now, but it can save you a lot of money down the road when you become a two-EV family. ✔ What does your municipality require? It’s important to note that some municipalities do not permit the installation of a plug version of the level 2 EVSE even if the unit is UL listed, so you should contact your municipality to find out if it allows a plug version or requires a hardwired version. There is usually an electrical inspection department, which can answer questions about specific requirements. For example, according to the Inspection Services Division, in San Francisco, no hardwired system is required by the city and you can plug your UL certified JuiceBox into a 240V NEMA 14-50 outlet. ✔ Is your home properly grounded? Considering joining the revolution of replacing fossil fuel-burning vehicles with ones powered by electricity from renewable sources? For additional inquiries, check out our customer service FAQs.